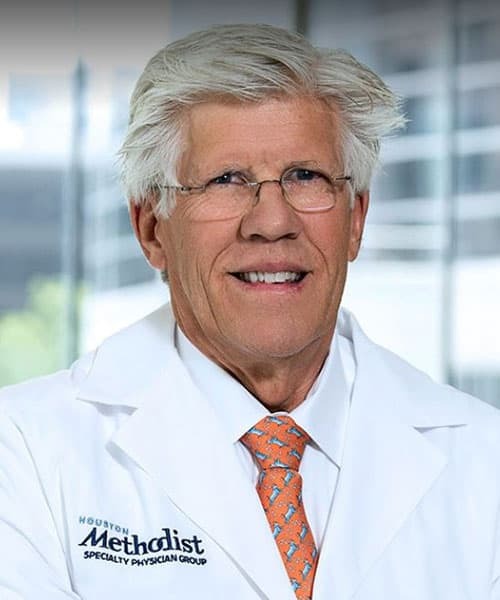 David R. Lionberger, MD is a noted specialist in arthritis and joint replacement surgery who maintains an active practice in general orthopedic surgery. He is certified by the American Board of Orthopedic Surgery and has distinguished himself both for arthritis research and for the design and testing of innovative orthopedic implants. David R. Lionberger, MD is a lecturer and surgical instructor at symposiums throughout Europe, Asia and South America. Dr. Lionberger is currently the Principal Investigator on several orthopedic disease related clinical research trials which are funded through the Foundation for Southwest Orthopedic Research. For more information on the Foundation for Southwest Orthopedic Research, please visit fsoresearch.org. David R. Lionberger, MD earned both his BA and his MD from the University of Missouri at Columbia. He completed a general surgery internship and residency in orthopedic surgery at Baylor College of Medicine in Houston, TX. He completed fellowship training in arthritis and joint replacement surgery, with additional research in implant biomechanics and design, at Harvard Medical School in Cambridge, Massachusetts. Minimizing Electromagnetic Interference from Surgical Instruments on Electromagnetic Surgical Navigation. Stevens F, Conditt MA, Kulkarni N, Ismaily SK, Noble PC, Lionbeger DR. Clinical Orthopeadics and Related Research. 2010 Aug; 468(8): 2244-50. Celecoxib does not affect osteointegration of cementless total hip stems. Lionberger DR, Noble PC. J Arthroplasty. 2005 Oct;20(7 Suppl 3):115-22. Navigated Versus Conventional Total Knee Arthroplasty, Moskal, et al, The Journal of Knee Surgery. 2014;27:235-248. Conventional Versus Computer-Assisted Technique for Total Knee Arthroplasty; A minimum of 5-Year Follow-up of 200 Patients in a Prospective Randomized Comparative Trial, J. Cip et al./ The Journal of Arthroplasty 29 (2014) 1795-1802. Perioperative Differences in Conventional and Computer-Assisted Surgery in Bilateral Total Knee Arthroplasty, Merz, et al, The American Journal of Orthopedics. 2014;43(6):256-261. Patient Specific Instrumentation, Lionberger et al, The Journal of Arthroplasty 29 (2014) 1699-1704.